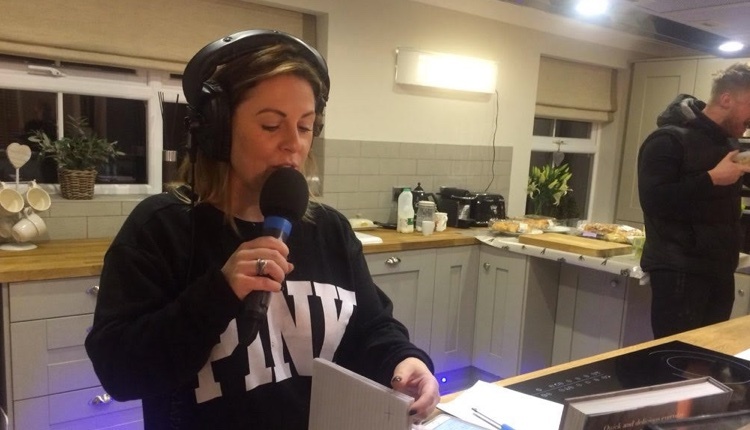 BBC Radio Manchester’s breakfast show was broadcast live from the home of presenter Chelsea Norris on Tuesday morning. Chelsea was joined at home by co-presenter Paul Lockett, sports reporter Mark Crossley and political reporter Matthew Bone as the team explored the benefits of working from home and avoided the rush hour traffic in Manchester. The presenters had to share the house with Chelsea’s husband Ben who was going about his normal morning routine.